Purchasing this item will earn you 4880 reward points (Reward Points Rs. 488.00) ! Purchasing this item will earn you 4880 Rewards points (Rs. 488.00) ! Basic and without frills, the ESP LTD B-55 5-String Bass Guitar packs 2 ESP pickups (a split-coil and single-coil) for a range of gutsy tone. Extra-jumbo frets make it easy to play. Agathis body. Maple neck with rosewood fretboard. 2 volume controls and one tone control. Japanese company ESP Limited manufacture electric guitars and basses. 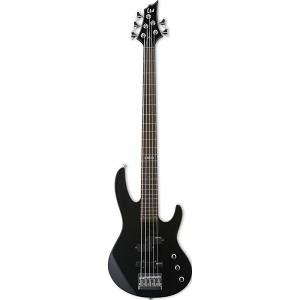 If you are looking for a bass guitar online, you are in the right place. ESP manufacture in both Japan and USA, with two distinct product lines for each market. 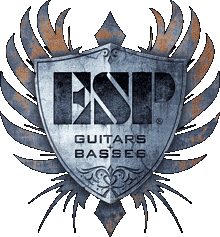 ESP Company manufactures instruments under several names, including "ESP Standard", "ESP Custom Shop", "LTD Guitars and Basses", "Navigator", "Edwards Guitar and Basses", and "Grassroots". Buy them from Musikshack to get the best electric guitar price in India when you buy musical instruments online. With 4, 5 and 6 string models in a range of dynamic colors, you’ll look like a rock star playing every day. Are you looking to buy Warwick bass guitars or shop an electric bass online? We recommend that you give this brand a go, mainly because they’re among the leading names in this particular segment of the industry. 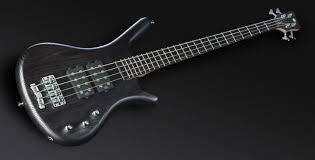 For people who don’t know, Warwick are German bass makers, perhaps even the best bass guitar manufacturers out there. Although they primarily construct basses, they also dabble with amps, cabinets, as well as bass strings, but let’s stick with the bass guitar models for the time being. So, if you happened to have a friend who plays one or if you’ve saw somebody plays a Warwick bass and decided to get one yourself, we’re here to give you a little heads up regarding the things you need to know before you get to the point when you actually buy a Warwick bass guitar. Without any further ado, let’s get straight to it. Well, first of all, Warwick is a relatively younger brand as they exist only some 37 years now (since they were founded in 1982). This might lead some people to believe that they’re ‘underdogs’ in a sense, but there’s actually several positive points a younger brand has when compared to the older ones. First and foremost, young brands such as Warwick have a lot of proving themselves to do, so what came out of it is a wide variety of strikingly different bass models. As far as Warwick models go, you can easily buy bass guitars in India made by this brand. If you don’t know which ones you should take a gander at first, we recommend starting with the entry-level starting basses, such as Triumph, Vampyre, Fortress, Corvette, Star Bass, and the Streamer. Now, the first thing about the aforementioned basses is that they’re not made of materials as exotic as the ones from the other categories. However, what’s good about it is that they’re cheaper in turn. If you’re looking to buy bass guitars online in India, entry-level Warwick basses are a good place to start your search. Warwick has a limited edition of instruments that are still relatively new to the market. They’ve started out making them in 2001, and up until this point the catalog is getting expanded even further. What differs these ‘intermediate level’ basses from the entry level category is that the former are made of exquisite, sort of exotic wood materials, they pack a different set of pickups, but they also have custom finishes, special configuration and specs. There’s a plethora of bass guitars online in India, and Warwick Limited Edition ones are definitely the best for the cash. The first ‘Limited Edition’ Warwick bass was the Thumb BO, which is made of special Bubinga material, swamp ash, and ebony. Following up, there’s the FNA Jazzman, Thumb Bolt-on bass from 2003, the Hot Rod Warwick Corvette, and numerous variations of Streamers, Corvettes, Fortresses, and such. If you’ve been playing bass guitar for a while, you actually might want to consider skipping the entry level category and jump right into this fray right here. Note that these particular bass models belong to the ‘limited edition’ which is called like that for a reason – there are only a couple of hundreds of each model that were ever built. The last segment of Warwick’s catalog is the signature series. These guys offer a couple dozens of signature basses from artists such as Jamiroquai, John Entwistle, Jonas Hellborg, Rober Trujillo, Bootsy Collins, Jack Bruce, and so on. Most (if not all) of these basses are made in collaboration with the artists themselves, so if you’re looking for a specific tone, the one that resembles your favourite bass player, this might be the place where you want to start your search. You can even buy bass online, even if it’s a signature model. What most Warwick bass players tend to have in common is, oddly enough – their sound. Warwick guitars, depending on the price point category, sound very much alike, but that’s actually a good thing. Warwick bass guitars have an easily recognisable sound, the one which you can use as a base to build up your own tone with amps and bass pedals. Special, very characteristic specs are what comprise the core of every bass this company makes. 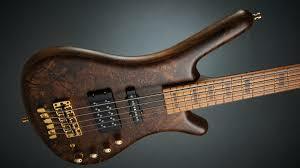 That, however, means that you’ll need to do some research prior to choosing your first Warwick bass guitar. Check out the artists that use them, compare their rig to yours and see if that’s the sound which can actually complement your own rig. Let’s face it, some people, usually those who play in bands are also interested in how a bass looks like. Well, in this respect, there are two things we’d like to discuss. 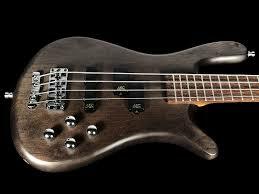 First and foremost, Warwick basses look absolutely amazing, without any exceptions to number here. Secondly, most of them have custom finishes, so whichever you pick will most definitely stand out from every other bass at the show. Shopping musical instruments online might not seem so smart to some people, but know that Warwick’s aesthetic elements do not come at the expense of durability – after all, we all know that German engineering is impeccable, so you shouldn’t worry about this part almost at all. The only not-so-great thing about Warwick bass guitars is that they cost quite a lot. Even their entry-level basses cost a couple hundred dollars. Knowing this, if you really want one of their axes, you should consider saving up in advance. In terms of value, these bass guitars are extremely good for the money. Namely, you’ll get a full package – almost every single model is highly versatile, performs excellent sonically, and each and every one is a keeper. There aren’t many things you should keep in mind when buying a Warwick guitar – they’re expensive but do a massive bang for the buck. In fact, it would be quite fair to say that you couldn’t make a mistake if you pick either from their catalogue since they share a relatively similar spec outline. 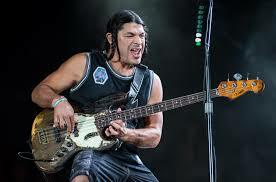 The only thing worth mentioning here is that you should definitely check out Warwick bass guitar players (which we mentioned before), such as Robert Trujillo, Jack Bruce, T.M. Stevens, and Adam Clayton. If you like how they sound on their instruments, it wouldn’t be too much to hope to sound just like them with one of these basses. Bass guitar is just as important as other instruments in a band, if not more so. Just like a regular guitar, bass guitars come acoustic or electric with a different number of frets and strings based on the model. If you’re a beginner, you’ll probably want to stick with a 4-string bass, the same way a 12-string guitar would not be best for a beginning electric guitar player. Bass guitar is just as important as other instruments in a band, if not more so. Just like a regular guitar, bass guitars come acoustic or electric with a different number of frets and strings based on the model. If you’re a beginner, you’ll probably want to stick with a 4-string bass, the same way a 12-string guitar would not be best for a beginning electric guitar player. Some have more tone controls than others and some have the tuning pegs on one side of the headstock versus all on one side, which simply is for aesthetics. Basses with more than 4 strings can either play lower notes or higher notes than normal, depending on the type of strings used. Some heavy metal bassists will have extra strings that are lower than the base E note, while many jazz bassists will enjoy soloing, wanting to be able to play higher notes than a normal 4-String, using even smaller strings in addition to the basic 4 strings. The Yamaha TRBX 304 is a balanced a versatile 4-String guitar with a super sleek look. The ESP LTD B55 has two pickups (one single-coil and one split-coil) for your own choice of tones. Large frets make the LTD B55 easy to play. The ESP LTD D6 comes with two pick ups as well, one bridge and one neck, for your own choice of tone. 24 frets enable you to play 2 full octaves on each string. The fretted bass is the most popular type of bass available. Best for beginners and just like its electric guitar counterpart, each fret marker separates each semitone, making it impossible to play a note that’s in between notes, in other words, not 1 of the 12 semitones in the octave. The Fender Squier DD IV 4-String is a solid option for a versatile bass, for beginner to advanced, and sits at 21 frets. A fretless bass is just that. Generally for more advanced players, it can produce a warmer and smoother tone than its fretted counterpart and also enables you to play in between semitones, giving you more choice in exactly where in between a semitone you can play. You see a lot of jazz bassists play stand-up bass because of both of these reasons. In addition the sliding up and down of the neck will sound more seamless if you’re going to play a lot of notes far from each other on the same string. Since the whole fretboard will look “blank,” novice players won’t know where to compress the string with their finger to play a specific note. Veteran players have so much playing time under their belt, they’ll know exactly where a note is on the fretboard without any assistance of fret markers. The ESP LTD B50 is a dual-pickup 4-String fretless guitar with extra large frets, 2 volume controls and a tone control. Cables will work with either an electric bass or electric guitar, so it need not cause to much worry about which guitar cable to buy. The length tends to be more important, based on where you will be playing and how far away you will be from your amp. 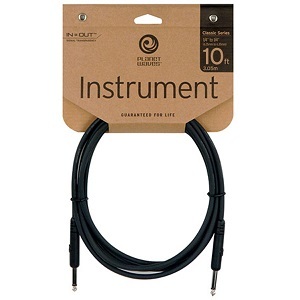 Planet Waves makes guitar cables in a variety of lengths. 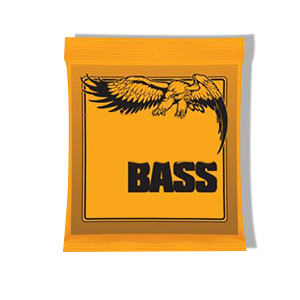 Bass strings come in a variety of gauge ranges, which equates to the circumference of the string. Smaller strings will oscillate more due to less tension on the fretboard, making them slightly easier to play. These would be best for beginning bass players. Larger strings will be slightly harder to fret, but some bass players prefer them for their own specific sound. 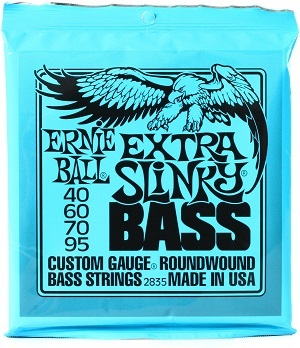 Ernie Ball is one of the most popular brands in the game, coming in many different gauge ranges. Although generally used more sparingly than a lead or rhythm electric guitar player, bass players still like effects, too. 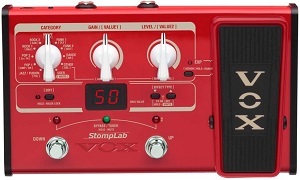 The Vox SL2B Bass Processor Stomplab pedal has 100 preset effect patches separated into genre categories to match any style. Effects can be tweaked as well and the SL2B has a built-in amp for us with your headphones. 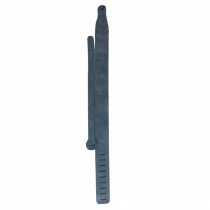 Some bassists choose not to use picks and use two fingers instead. Picks will give a harder attack on the string with a more defined sound, with using your fingers will sound smoother and less defined. Picks or no picks, bassists in all genres have their preference, but playing with two fingers instead of a pick will take some practice to get good at for a beginner. 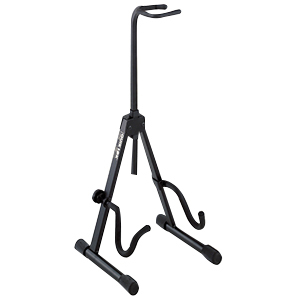 Because of the similar shape of bass and non-bass guitars, most stands will fit a bass fine. 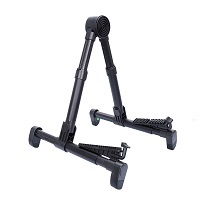 The Fzone 9 is a portable stand made with aircraft-grade aluminum. 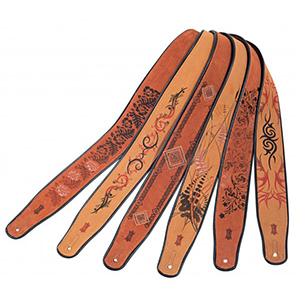 As for straps, there’s not a lot of difference between guitar straps for bass and non-bass guitars. Just make sure it makes you look like a ROCKSTAR and is of decent quality to last. 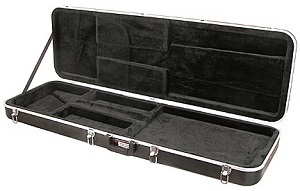 Basses tend to be longer than regular electric guitars, so a case designed specifically for a bass guitar is essential. You’ll want to stick with a hard-shell case for ultimate protection. The Gator GC Deluxe is just that. A hard shell and a soft interior, as well as the ability to fit both left and right-handed basses, The Gator GC Deluxe protects your instrument as well as you can. While you technically can use a bass amp to player a non-bass guitar, you get so much more out of using an amp that’s built for the instrument it’s intended. You’ll almost never see a bass player on stage playing a non-bass amp. 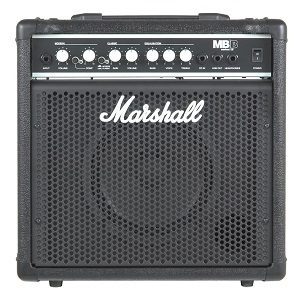 The Marshall MB15 is a great amp for at home practice or a small performance. Bassist’s Guide to Buying Basses! One thing I adore about bassists is their genuinity! And I am not just shooting blanks; I have a list of valid proofs to back my claim. The first thing no one can deny is that one does not simply decide to be a bassist (NO! THAT IS NOT A MEME PUNCH LINE!). One thing I adore about bassists is their genuinity! And I am not just shooting blanks; I have a list of valid proofs to back my claim. The first thing no one can deny is that one does not simply decide to be a bassist (NO! THAT IS NOT A MEME PUNCH LINE!). Bass guitar is such an underdog that only those who understand its importance, its power and beauty go for it. And for that; my friends, Needs a true ear trained musician. And that’s why there aren’t many bassists out there and the ones who are; Are crazy passionate! There are generally two types of guys who pick up bass guitar. Sudden realization guy situation- You are at your local music store, waiting for your electric guitar to be restrung. Its gonna take 20 minutes or so, your glance falls on a black bass guitar and you are like ‘What the heck... lemme try it!’ So you ask the sales guy to get that guitar for you to try. You plug it in the amp and start playing chords only to find out it has 4 strings. Then you are like... meh... so you try smoke on the water and then slowly you start understanding that it takes a different style and techniques to play, when compared to good ol’ electric strat. After sometime your guitar is restrung and it’s time to go. But you already feel attached to that comfort in those fat strings and bold frets and Oh my gosh that awesome sound! Then suddenly you realize that you are in love. You leave the shop with a new guitar. So the bassist and the bass guitar lived happily ever after. 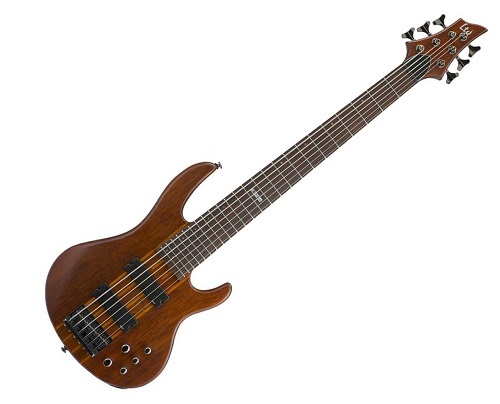 However there’s a lot to consider when purchasing a bass guitar; the wood, Active or passive pickups, Body style. So let’s get all brainy and begin with all the technical things in the world of BASS GUITAR! Alder- Alder is used extensively as bass guitar bodies for bodies because of its lighter weight. It creates a very balanced tone, with great clarity and a very full sound. Agathis- Because of its fairly balanced tone with a slight emphasis on low-mid tones that gives it a rich sound and its inexpensive price tag it stands popular since years. Basswood- Any experienced luthier would tell you that basswood is one those softest woods they had worked with and they are right, it’s butter-soft. But this quality is like two-edged sword; some bass players think this creates a flat sound, while others feel the short sustain is ideal for fast, complex playing techniques. Mahogany- Mahogany is a fine grained wood with great musical properties. It produces a soft, warm tone that emphasizes the low-mid and lower-range tones, and creates longer sustain. Maple- There any many species of maple woods used in musical instruments. But in general, maple wood produces brittle and bright tone. Almost all the types of these tone woods have beautiful natural pattern which look just great with transparent colour or no colour at all. Active or Passive Pickups- As those wooden blocks are taken care of let’s begin with the actual device that sends the sound signal to the amp. Passive- The first pickups to be used in bass guitars were passive. Passive pickups tend to have a warm, full, round, dynamic tone. Their fat, punchy tone is their appeal. Passive pickups do not give you much control over their tone. Basses have bass and treble controls much like your stereo system. On passive pickups you can only turn down (cut) these bass and treble frequencies. That means you can only take away treble or bass from the tone of the pickups. That’s not necessarily bad. You just have fewer options for shaping the tone of passive pickups. Active- Active pickups use a pre-amp. The pre-amp is powered by a battery. 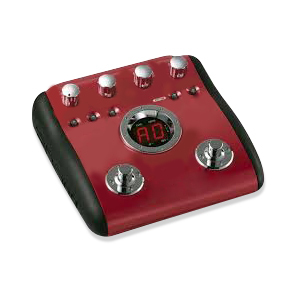 This gives you more control over the tone coming out of your bass. How much control you have will depend on the features of the pre-amp. Some pre-amps simply have a bass and treble control while others have mid-range controls and other extras. Active pickups have a louder output than passive pickups. There is less signal loss on the way to the bass amp. Oh Yea! Bass Guitar with 6 pack abs! Buffed body and... Seriously, what a silly joke! Anywho, what kind of company makes guitars without options for the musicians to choose from? None! Here are some options you may find fit for your bidding. Acoustic bass- This type of guitar looks more like the standard acoustic guitars with a traditional dreadnought design. Its small size makes it perfect for studio or stage playing. Its size also makes it convenient to play as you sit or stand. 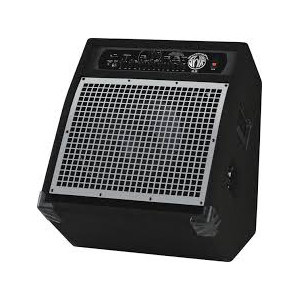 In most cases acoustic bass guitar comes with basic electronic amplification that makes it easy to plug into a public address system. 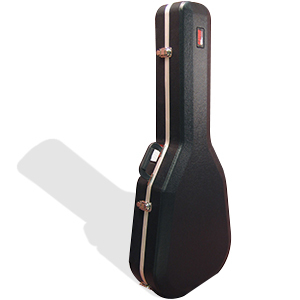 The guitar produces a quiet sound making it perfect for any kind of music genres. 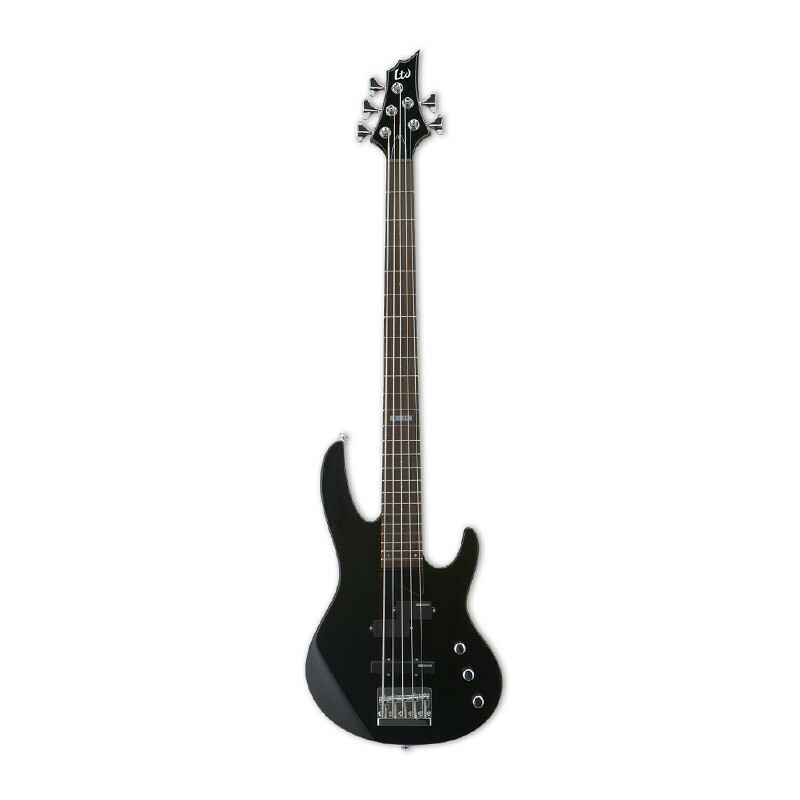 Electric fretted bass- The electric fretted bass guitar is the most popular bass since it entered the market. The guitar has a solid body and can be equipped with many active pickups that use battery to operate or the traditional passive pickups that do not require the batteries for them to operate. They have single frets on the neck that allows one to have accuracy with the note while playing. Electric fretted bass has versatility and as a result of the many electronics available, it can be perfect for any style of music. Electric fretless bass- This type of bass guitar shares all the characteristics of the electric fretted bass, with the only exceptions being the frets. Its sound is similar to the upright bass because both of them do not have frets. The guitar is played by pushing the string against the fretboard leading to a deeper natural bass tone compared to the fretted bass guitar. This type of bass guitar is mostly used in country, classical genres and of course... METAL! Precision bass- This is another type of bass guitar that has one split coil electric pick up. It is one of the most popular types of bass guitars used even today. It produces a timbre that is different from that of other double bass guitar. It also has a less percussive thump and a clearer articulated fundamental tone. Jazz bass- Jazz bass is a more articulate and defined sound compared to other types of bass guitars. It also has a brighter tone and richer in midrange. It is more perfect for bass guitar players who like being more forward in the mix. Fender jazz bass- This is a solid bass guitar that has two pickups, a bridge tailpiece that is adjustable and four strings. It is usually built with a scale length of thirty four inches and can be played for any music genre. Ok if you find all these things as okie-doke or you got confused over level 9000; Let me suggest you some bestselling bass guitars in India for you to choose from. I will start with a great metal guy, Frank Bello! You know... the Anthrax Bassist. Well he got a Fender bass for you. Go checkout Fender Squier Frank Bello Jazz Bass Guitar Black. 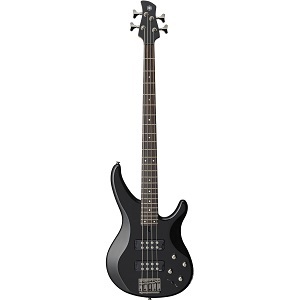 To move along; you need a sturdy instrument which hits like a truck... Just take a look at Yamaha TRBX174 Electric Bass Guitar. Fan of ESP and Fretless bass? You are in luck, how about ESP LTD B50BLK. So, There you have it folks; an easy guide to pick up a bass guitar of your liking.